Your hens can offer another form of income: You can sell their eggs to other farmers for hatching. Here's what to consider. Fertile eggs: If you’ve got ’em, you want to sell ’em. 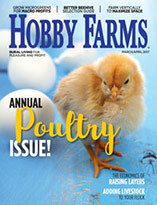 Selling eggs puts cash in your pocket and gives fellow chicken keepers a chance to incubate and hatch their own chicks. Everyone wins—but only if you do things correctly. Are they quality purebreds of a fairly unusual breed or color variety, such as lavender Marans or Mille Fleur Orpingtons? You can sell eggs from everyday breeds, such as Rhode Island Reds, at chicken swaps and through local ads, but shipping eggs is pricey. You’ll need something unique for buyers to justify the cost of shipping. Are your chickens healthy? Your flock should be clear of illnesses such as Newcastle disease and salmonella. Are your roosters old enough to fertilize eggs and are there enough of them to service all your hens? Young roosters (cockerels) reach sexual maturity between 4 to 5 months of age, and you should have 8 to 12 hens per rooster for fertilization purposes. Are your hens fully grown? Pullet eggs don’t incubate well and buyers don’t want them. Your flock must be certified by the National Poultry Improvement Plan for you to legally ship hatching eggs. Most states also require a health permit as well as pullorum and typhoid testing. Talk with your county extension agent or your state’s NPIP representative to find out what you need. There are hefty fines for illegal egg peddling, so don’t omit this step! Washing eggs removes their protective bloom, so keep them clean by lining nest boxes with plenty of bedding, changing it as often as needed and collecting eggs several times a day. Carry eggs gently to the house. A towel-lined basket is good for this. Sort the eggs and store the ones you’ll sell as hatching eggs large-end-up in a clean, closed carton between 55 to 70 degrees F and at roughly 75 percent humidity. You’ll need a hygrometer to make sure your room’s humidity reading is in or near the ballpark. Pick one up at a drugstore or online, and follow the instructions. It’ll show your room’s humidity level as a percentage. Boost the humidity, if necessary, by placing a small bowl of water beside the carton. Elevate one end of the carton by slipping a book or block of wood under it. The following day, move the book to the other end, alternating ends until you ship the eggs. This keeps the yolks from sticking to one side of their shells. When sorting, set aside well-shaped, average-sized eggs as hatching eggs. Avoid large eggs that might be double-yolkers—these rarely hatch—and unusually small eggs, as they tend to produce small, weak chicks. Remove any with bumped, wrinkled or otherwise flawed shells and any with hairline cracks. A tiny amount of soiling is usually acceptable, but it’s better to send clean eggs. Remember not to wash them, though! Most sellers strive to ship eggs within three days of being laid. A few days longer is OK, but don’t hold them any longer than that. Collect accordingly, planning to ship the eggs on Monday or Tuesday, so they reach their destination the same week they’re mailed. If you don’t want to deal with the hassle of shipping, sell locally. Pin notices on bulletin boards at veterinary offices and feed and farm-supply stores, and take out classified ads either in newspapers or online—think Craigslist. If you’re willing to ship eggs, list them at online poultry auctions, such as EggBid, FeatherAuction.com and Rare Breed Auctions. You can also sell eggs at eBay and Amazon. There are several hatching egg groups at Facebook worth investigating, as well. While you’re there, run a search for Facebook groups devoted to the breeds you’re selling. Join and sell eggs through those venues, too. When you place ads, be very explicit about what you’re selling. Point out how many eggs you’ll send. Eggs are usually sold in groups of 6, 8, 10, 12, 24 or 36. You can also include extra eggs to offset any eggs damaged during shipping. Including extras at the rate of one extra per six eggs ordered is a good idea: Seasoned buyers expect it, and it promotes good will. If you don’t plan to send extras, say so. Hatching eggs are normally sold without guarantee. Even if you send fresh, fertile eggs, they can easily be damaged during shipping or your buyer may not incubate them correctly. Buyers usually expect a 40 to 80 percent hatch from shipped eggs. Once you’ve sold your eggs, package them carefully and don’t skimp on wrapping material. Many shippers favor bubble wrap and shredded paper. They carefully wrap each egg in bubble wrap, leaving the ends open for air circulation, then pack them in a mailing carton with lots of shredded paper cushioning in between. Eggs can be packed in any type of cardboard carton large enough to allow for plenty of cushioning material, but it’s hard to beat flat-rate priority boxes from the U.S. Postal Service, which ship to any state at any weight at a fixed price. They’re sturdy, free and sized exactly right for most shipments. A medium-size box is great for up to 15 eggs and costs about $14 to mail; the large flat-rate box holds up to two dozen and ships for about $19. It never hurts to package incubating instructions in every package. Shipped eggs should be rested for 24 hours at room temperature before being placed in an incubator or under a broody hen. A good way to handle this step is to print copies of a university-generated bulletin about incubating chicken eggs and tuck one in each box. Contact your buyer to let him or her know the package is on its way and provide the tracking number from your priority mail receipt. Ask them to contact you when the eggs arrive and again after they hatch. 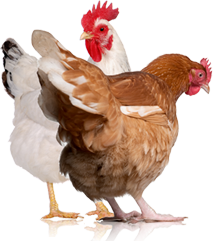 Selling hatching eggs is a fun way to make pocket money while promoting your favorite breed. It’s so gratifying when customers report a great hatch and send pictures of little peepers you helped bring into the world. People love hatching their own chicks, and they can’t do it without a source of quality hatching eggs. Give it a try! 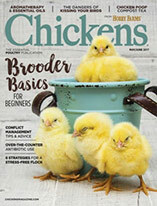 This article originally appeared in the January/February 2016 issue of Chickens.